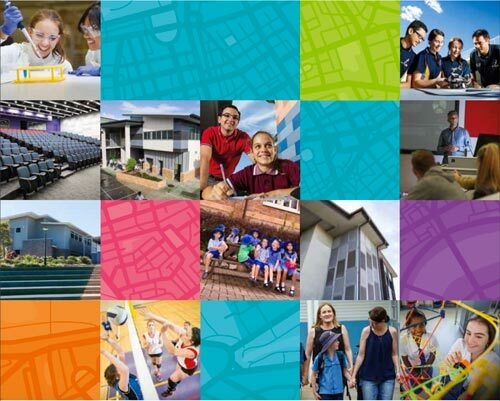 Advancing Queensland Schools Program: Local contractors have been called to register for government work ahead of tenders opening for projects under the Queensland Government’s $200 million Advancing Queensland Schools program. Queensland Government is investing $500 million in a five-year Building Future Schools Fund. This Fund will see the biggest ever investment in building new schools within five kilometres of the Brisbane CBD. Over the last 10 years around 5,000 additional students have moved into existing inner-city schools and more than 3,000 additional students are expected over the next five years. 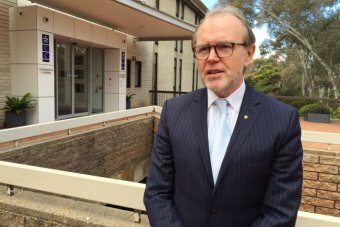 Parramatta’s Arthur Phillip High School will be rebuilt in a 17-storey tower in a project the state government hopes will show how to build education infrastructure in dense urban settings. The 55-metre tower to be built in the western Sydney city’s CBD will be adjoined by a separate four-storey curved building housing a new primary school. On the outside, it’s a grim concrete box abutting a railway line. On the inside, however, it’s one of western Sydney’s newest schools – and a template for the future. 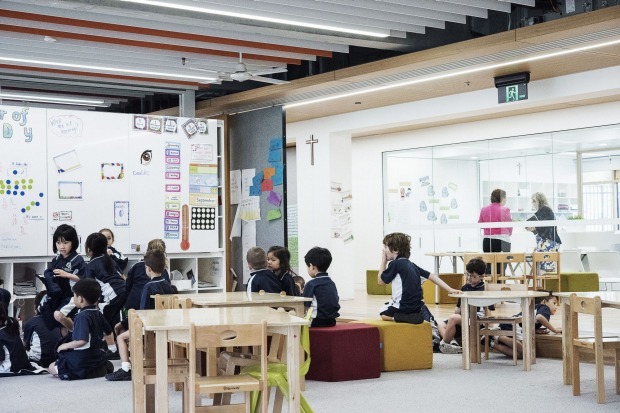 Welcome to Our Lady of the Assumption in North Strathfield, where a miracle of design has turned a former Telstra training centre into a Catholic primary school. The University of Canberra (UC) has unveiled plans that will see more than 3,000 residences built on land owned by the university, at an estimated value of $1.7 billion. The university has signed an agreement with developer CIC Australia that will see a maximum of 200 dwellings released every year for the next 15 to 20 years, starting in 2017. 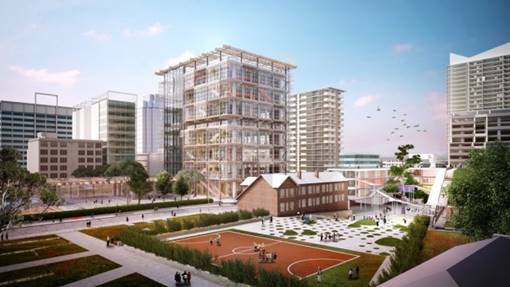 UTS can reveal the proposed design for the revitalisation of Building 2, which envisages a 16-level building with a distinctive ‘twist’ and a tri-level, glass-fronted scholarly reading room overlooking Alumni Green. 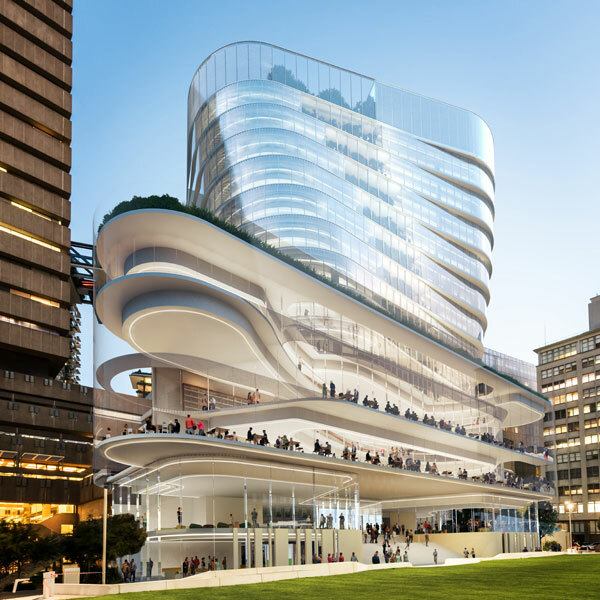 Recently submitted as part of the UTS Central project development application (DA), this design – which proposes 14 new floors and retention of the two existing basement levels (1 and 2) – will renew the very heart of the UTS campus. 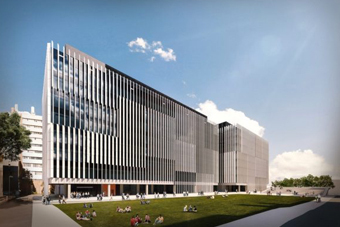 Leading global contractor Multiplex has been appointed to deliver the University of New South Wales’ (UNSW) new $174.4 million Science and Engineering Building (SEB), continuing the expansion of the world-class Physical Sciences Precinct at its Kensington campus. AS THE learning and teaching environments evolve, so too does the creation of new schools. 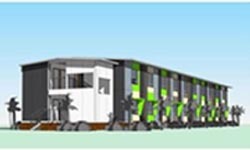 In keeping with an ever-changing technology-savvy generation, the plan for Catholic Education’s newest school Santa Sophia Catholic College in Box Hill is set to make children ready for the workforce of the future, according to foundation principal Mark De Vries. REDLANDS will soon echo not only to the muted sounds of student learning, but also to the rumble of earthmovers and the crash of jack hammers as the exclusive school embarks on a 20-year $114 million building spree at its Cremorne site.